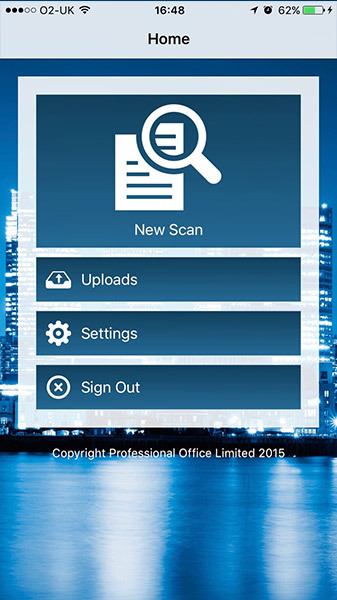 It has been 3 years in the making and 9 months of non-stop development work, Professional Office Ltd is proud to announce the launch of their excellent new addition to our suite of ID and electronic Anti-Money Laundering tools with a brand new iPhone app. It is completely FREE to download. You will need a SanctionsSearch.com or ValidID.co.uk account and you will be using the system to carry out a ValidID check for the same cost as usual within your account. We intend to make no other additional charge for this fantastic piece of technology. So what does it do and why do you need it? Having realised that we have created something so versatile and useful we wanted to extend this feature to help users with other documents from clients. Users of the ValidID app will also be able to use it to gather other documents which they may require such as, but not limited to, the list below. client. You will no longer have the need to take a rainforest of paperwork from the client with all the risks that entails. Nothing to photocopy nothing to store safely it is all kept for you by our system in your own secure SanctionsSearch.com or ValidID.co.uk account. I am office based why do I need this app? 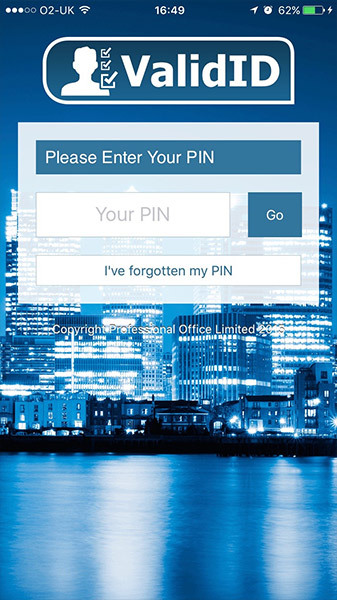 It can be used wherever you are so if you work generally office based in a financial or mortgage advisors office, an accountants or solicitors practice you can still use the app to capture your clients documents securely rather than photocopying them. This means that you only print out what is absolutely necessary meaning no more wasting of time and paper and the money that it all costs. The brilliant thing about our technology is our system reads the Passport and or Driving Licence; it populates the necessary ID checks for you. This means you don’t have to key in loads of information, thus saving time and ensuring you reduce the risk of error with data entry. Is it secure and safe? This is a very good question and one that has been at the forefront of our minds since the day we started our development process. The best way to explain our approach to data security is to begin at the start of the documents journey. 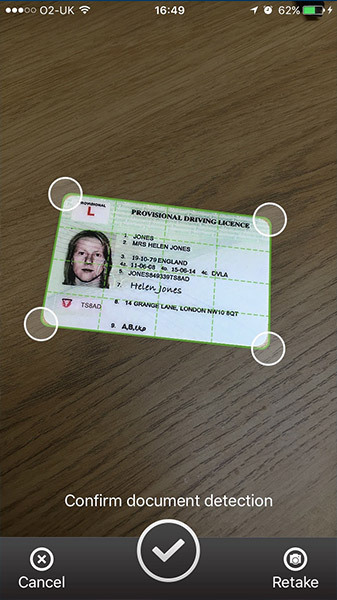 The user captures a scan of the document within the app. The scan is not a photo and is not treated as such by your phone. It is not stored on the camera roll, it is not available on your photo stream and it is not available for the family to view, it is securely captured within the app and is not accessible from elsewhere on the phone. Once the user has confirmed that the scan is the version of the document they are happy with it is encrypted by the phone using an encryption key unique to the client. The scanned document is no longer available to be viewed on the phone, so if the phone is compromised the file is encrypted and of no use to anyone. The encryption on the phone cannot be reversed by the phone. As soon as the user has finished the session of capturing all the documents they need for their client they tap the “save documents” button and all the encrypted files are sent securely via either Wi-Fi or 3G/4G (user permitting) to our servers and the users’ particular account. Our server then decrypts the files and re-encrypts them to ensure that any encryption used by the phone cannot compromise the security of the account on the server. Each account has its own encryption key this ensures a far greater level of security for your client’s important documents. Security is one of the most important objectives that we deal with and it is undoubtedly our biggest priority. Protecting you and your client data is our number one concern.